All objects and beings are made up of constantly moving energy sources and colors. They can be afterimages of physical movement, colors generated by certain moods or situations, or atmospheres that alter the landscape as they are projected in a specific direction. I aim to capture snapshots of those energies and colors, and by so doing, illustrate that nothing in life is static. Everything is constantly moving, changing, growing, adapting. Each person, animal, plant or object contains inner zones of warmth and coolness, often unnoticed. Through the expressive style of my painting, and the use of watercolor’s unique properties of transparency and atmospheric effect, I hope to bring those areas to the surface in a manner that sparks emotional response and contemplation. Rhythm of Colors - The Art House, Casselberry, FL, Produced by Seminole County Division of Cultural Affairs. Blue Jazz - Dancing Crane Gallery, Bradenton, FL - three-month exhibition. Perceptions of Time - 126 Original Hand-Painted Silk Flags created for South Carolina performing group. The Figure as Vehicle - Annette Howell Turner Center for the Arts, Valdosta, GA. 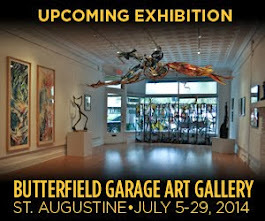 The Figure as Vehicle - Gateway Center for the Arts, Debary, FL. Unexpected Visions - Creative Spirit Gallery, Orlando, FL. Liquid Thoughts - The Watercolors of John Carollo. Solo exhibition. 23 2D & 3D pieces displayed. Big Art - Twelve pieces displayed, including the premier of large-scale 6’ works.